Women Leadership & Governance programme which is the cornerstone of GROOTS Kenya’s work, aims at enhancing the capacity of grassroots women to engage in leadership and governance issues. This is done through Champions for Transformative Leadership model. 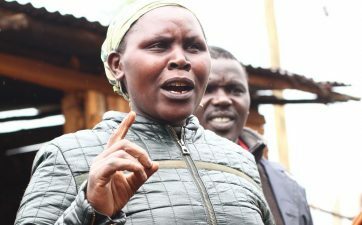 This model comprise a critical mass of grassroots community members (women/girls,men,youth) who systematically and sustainably pursue increased quantity and quality of women’s participation in elective & nominative leadership and further organize to pursue demand for accountability from duty bearers.